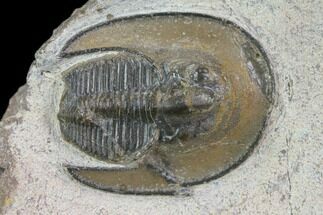 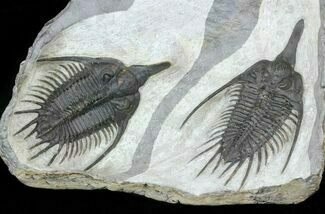 Here is a Scotoharpes trilobite from Boudib, Morocco on the NE side of Jebel Issoumour. 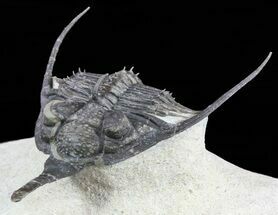 It has a very dramatic "head shield" which is often interpreted as a mechanism to help it stay on top of a soft ocean floor. 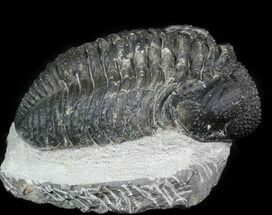 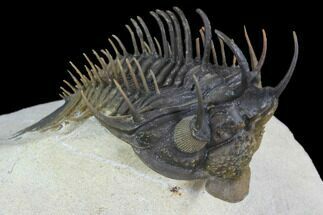 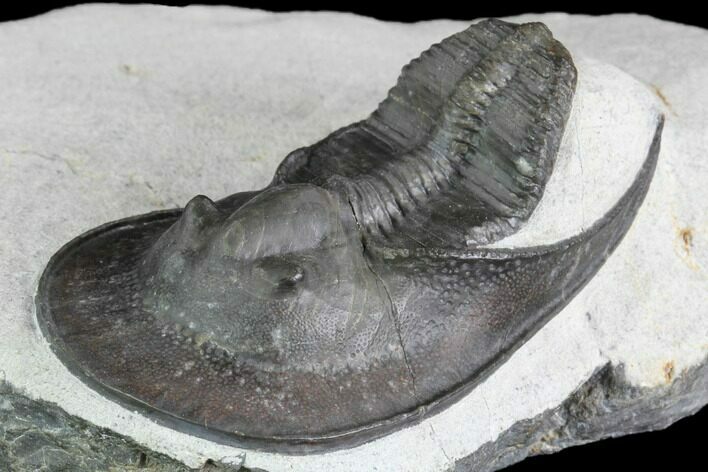 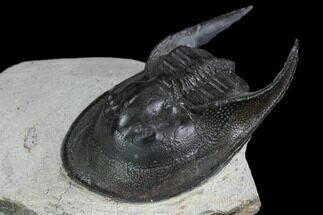 This preglabellar ring (head shield) is covered in many sensory pits which may have held hairlike features when the trilobite was alive. 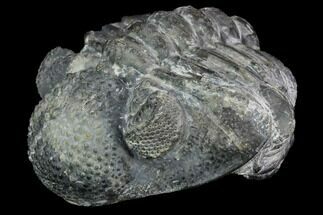 At 2.25" long this is quite large for the species and it's a nice specimen with no restoration.